A tee ball bat is the most basic baseball bat type. Such a bat is typically used by the youngest baseball players who are swinging a bat for the first time. It is called a ‘tee bat’ simply because such a bat comes with a plastic stand which holds the ball. When practicing for the first time, a young player needs to master the basic of swinging and hitting. So a stationary ball on a tee stand is very helpful in letting him or her grasp the hitting basics. Young players start using a tee ball bat as early as 4. As with all other baseball bat types, tee ball bats also come in various sizes and marketed by different manufacturers. 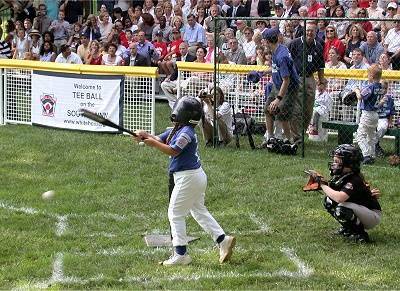 It may become challenging to find the best tee ball bat for your son or daughter. We’ve attempted to make this task easier for you by compiling a list of some of the best tee ball bats out there. These bats are from well-known and recognized manufacturers of the baseball industry, and we have provided brief reviews detailing the pros and cons of each. After going through these reviews, we are positively sure that you will be able to find the perfect tee ball bat for your young one. 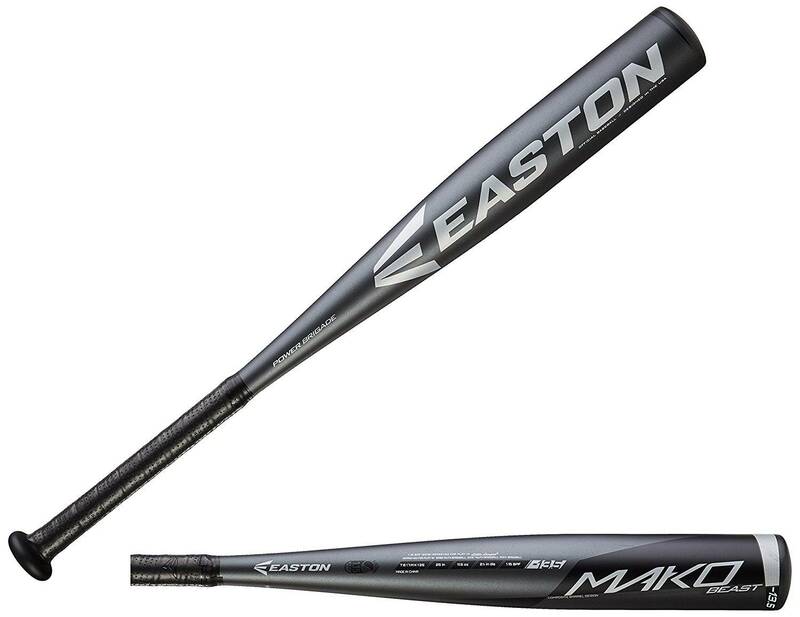 The Easton Mako Beast TB17MK135 is one of the top tee ball bats available on the market right now. 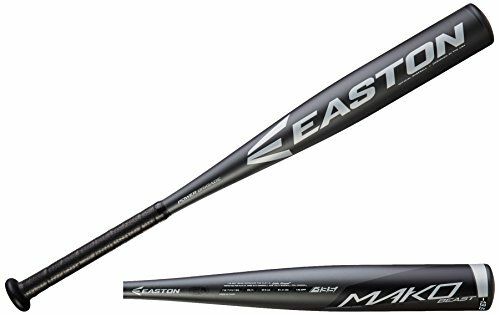 Easton’s Mako Beast line-up is known for delivering unparalleled quality as well as performance, and this tee ball bat reflects that well. The Easton Mako bat features a barrel constructed entirely from composite material. This makes the barrel incredibly durable while at the same time, keeping it lightweight. As a result, young players can swing the bat at great speeds and with great accuracy. The bat has a weight drop ratio of -13.5 which further ensures a very light-weight profile. The barrel is 2 ¼ inches in size and features a special rolled-end design. This special design feature enables a smoother and stable swinging experience. The handle of the bat features an ultra-slim 29/32” profile and is also constructed from composite material. Easton has topped the handle with a cushioned grip so that players can enjoy a more stable grip and are better able to channel their swing momentum all the way into the barrel. The overall design of the bat is one-piece. Such a single-piece composite construction is a sure formula for top performance as it allows a player to utilize the light-weight profile of the bat to his maximum advantage and channel the full force of the swing into the barrel when hitting the ball. The TB17MK135 bat is available in length options of 25 inches and 26 inches with corresponding weight options of 11.5 ounces and 12.5 ounces. Easton is offering a one year manufacturer’s warranty on this model, so you can be sure that this bat is going to last a long time in the hands of your young one. Rawlings, as a leading baseball manufacturer, needs no introduction. The company has been around for more than a century and is known for manufacturing some of the most iconic baseball bats to date. The company also manufactures a wide range of quality tee ball bats. The TBRR12 Raptor bat is one of them. The Raptor T-ball bat comes constructed entirely from alloy material. Rawlings has used a very durable variety of alloy in the construction of the bat, ensuring strength as well as reduced weight. As a result, a young player swinging this bat can benefit from its solid and light-weight profile. The bat features a 2 ¼ inch alloy barrel which is great to teach your young one power hitting on the plate. Younger players using alloy bats, as opposed to composite bats, tend to develop a stronger hitting prowess as they are trained to rely on their strength when hitting the ball. The bat features a weight drop of -12. The handle of the bat is quite slim and has been topped with a synthetic grip to ensure that the players can grasp it firmly during swinging. Rawlings has also included a special perimeter-weighted plug as the end cap of the bat. This allows a player to swing the bat with more efficient energy transfer, enabling the player to hit stronger and harder. Another stand-out feature of the Raptor T-Ball bat is its outlook. The bat carries a creatively colorful red-and-green outlook, making sure that your young one swings in style when wielding this bat. The bat comes with size options of 25 inches and 26 inches with corresponding weight options of 13 ounces and 14 ounces. 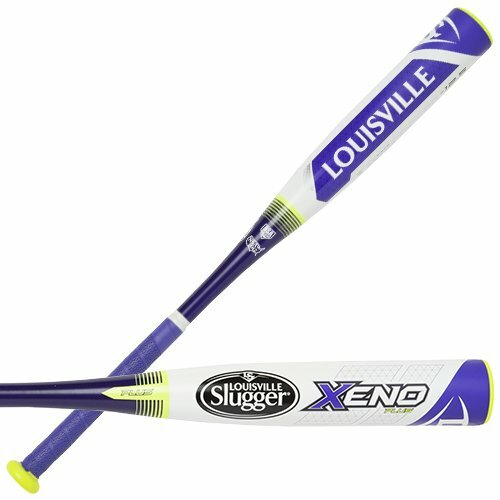 The Louisville Slugger Xeno Plus Girls softball t-ball bat is another excellent t-ball bat. The bat carries the trademark quality for which Louisville is renowned and offers excellent performance at an incredibly affordable price tag. Louisville has constructed this bat entirely from alloy material. Alloy offers some advantages in bat construction. The most notable among these is that alloy bats are incredibly sturdy and durable. So even if your young one puts this bat through a lot of rough use, you can be sure that it will incur little to no damage. Another notable advantage is that an alloy barrel offers a solid degree of hitting prowess. This, coupled with the relatively light-weight profile of an alloy bat, allows the player to swing the bat at great speeds and channel the maximum force of the swing into the barrel. 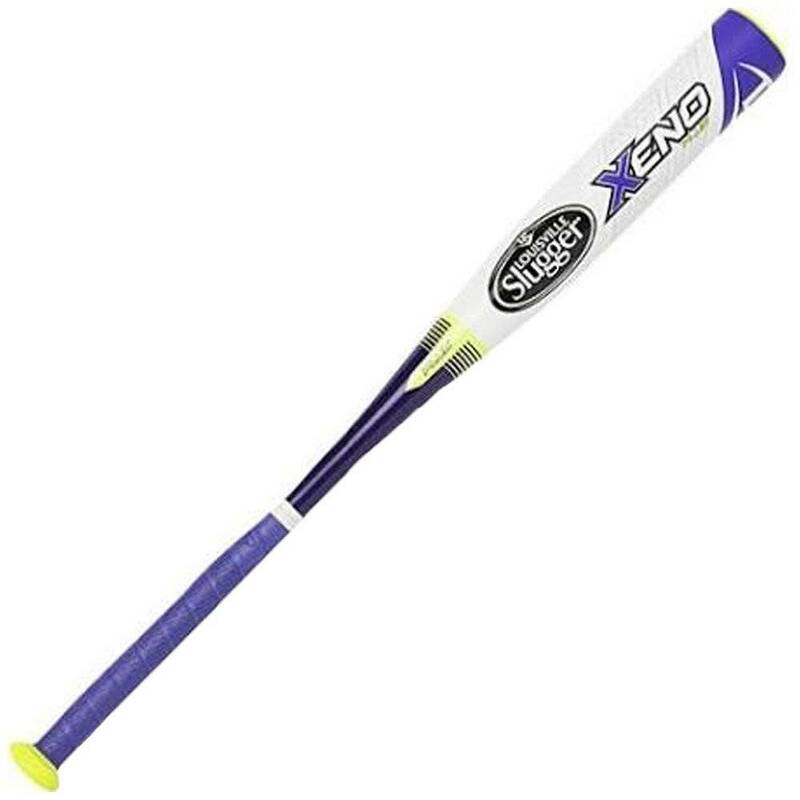 The Xeno Plus bat carries a 2 ¼ inch barrel and has a perfectly balanced swing weight, allowing the player to stay absolutely in-charge of the bat’s momentum when swinging it. Constructed in a single-piece design, the bat has a -12.5 weight drop ratio, making it aptly light-weight for the young players. The handle of this bat features a 7/8 inch profile, making it just right for young players to grasp easily while maintaining a firm grip. The bat is available in length options of 24 inches, 25 inches and 26 inches, with corresponding weights of 11.5 ounces, 12.5 ounces, and 13.5 ounces. A stand-out feature of the bat is that it is one of the most affordable tee-ball bats out there, so you can actually get a very decent tee-ball bat while spending very little. Louisville is offering a 12-month manufacturer’s warranty on this bat, so you can be sure that it will last a long while in the hands of your son or daughter. Over the last few decades, DeMarini has earned the reputation of being one of the top manufacturers when it comes to bats for the younger players. The company combines great quality and performance with stellar looks and style. These traits are well reflected in the DeMarini Voodoo -12 drop tee ball bat. DeMarini has constructed the Voodoo -12 bats with an aluminum barrel. Using aluminum in the construction of the bat’s barrel offers some advantages. For instance, aluminum offers a solid amount of hitting prowess while remaining somewhat flexible, which adds a decent amount of flex to the barrel. As a result, the player can hit the ball farther using the same amount of force. Aluminum is also quite light-weight which means that when using an aluminum barrel, players can swing at greater speeds and channel a greater amount of momentum into the barrel. This enables the players to hit harder and farther. This bat has a weight drop of -12 and packs a 2 ¼ inch barrel. The barrel of the bat carries an elegant design with a predominantly black outlook while the handle has a wood-brown shade. As with most other Voodoo bats, DeMarini has ensured that this bat also carries the significant style and elegance. The bat has been specifically designed for use in tee ball games. It also carries the 1.15 BPF USSSA certification. The bat is available in length options of 25 inches and 26 inches with corresponding weights of 13 ounces and 14 ounces. DeMarini is also offering 1-year manufacturer’s warranty on this bat. This means that the company is backing the durability of the bat and you can be sure that the bat is not going to break or get damage anytime soon. Franklin Sports has marketed some well-performing tee ball bats over the past few years. Apart from offering quality bats which offer good performance, the company is also recognized for offering cool color options on its tee ball bats, making them an attractive option for the young players. The Inferno bat is one of the signature tee ball bats from Franklin Sports. The company has constructed the bat entirely using aluminum and used a single-piece design in the manufacture of the bat. This offers several advantages to the player using the bat. Aluminum material is typically light-weight, so a bat constructed from aluminum is also light-weight and allows a player to swing it at exceptionally great speeds. Aluminum is also a flexible material, so a bat made from aluminum offers a good degree of flex in the barrel. Flex means that when the player hits the ball with the barrel, the barrel slightly bends inwards and then rebounds, pushing the ball. As a result, the player can hit the ball harder and farther. Single-piece design also offers numerous advantages. Such a design ensures that when a player swings the bat, the maximum amount of the swing force and momentum is directly channeled into the barrel, wasting very little of the player’s energy. This is why single-piece bats are often called power hitters. The Inferno bat features a 24-inch length and a weight of 16 ounces. The handle of the bat has been topped with a dual-color PU bat grip. The grip ensures that the player can maintain a firm hold on the handle of the bat when swinging it. The bat is available in multiple color options. These include blue, green and pink. Combat is another well-known company in the world of baseball bats. The company has consistently maintained a reputation for manufacturing some of the best bats in different categories. And this is well reflected in the 2017 Maxum -14 tee ball bat from Combat. Combat has constructed this bat entirely from composite material. The use of composite material allows a manufacturer to offer a much greater sweet spot on the barrel compared to, say, aluminum barrel. The use of composite materials also allows a manufacturer to construct a bat that is more light-weight and offers greater swing speeds. The Maxum -14 tee ball bat comes with a single wall barrel and a single-piece design. These features allow the bat to be a veritable hitter in the hands of a player. The single-walled barrel offers great flex and hits the ball farther while the single-piece design ensures that most of the player’s swing momentum is directly channeled into the barrel. As compared to most other tee ball bats, Maxum -14 offers 20 to 40% larger hitting surface on the barrel. As a result, players can swing this bat with more confidence and be surer of hitting the ball right. The barrel of this bat packs a 2 ¼ inch profile, and the bat has a -14 length to weight ratio. The bat also carries some pertinent certifications. These include USSSA 1..15 BFP certification. Consequently, the bat is legal for use in some leagues, such as Babe Ruth, Dixie, Pony and Little League. The bat is available in length options of 25 inches and 26 inches with corresponding weights of 11 ounces and 12 ounces. 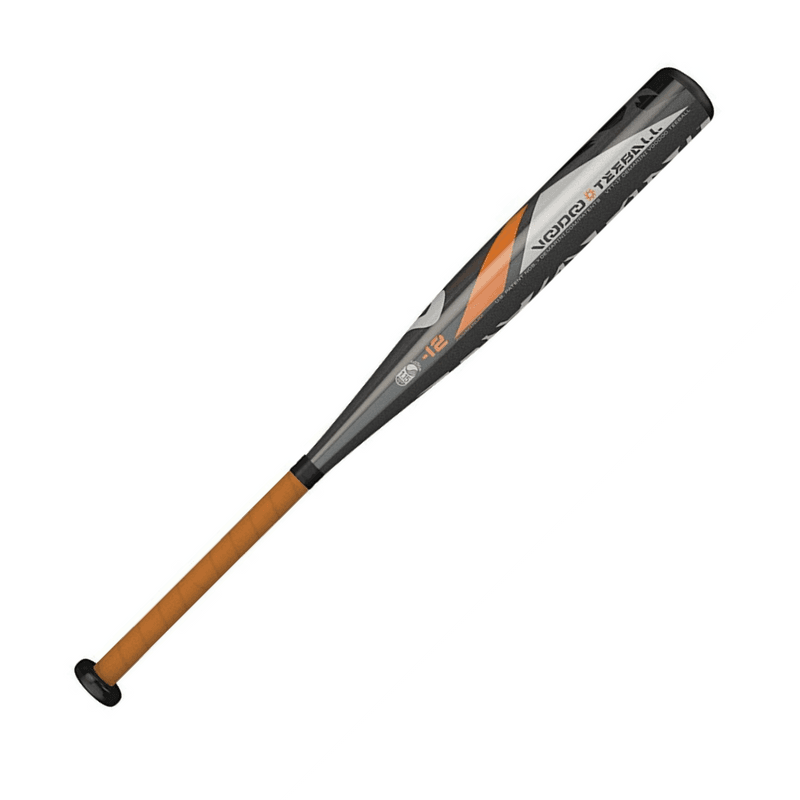 Combat MAXUM -14 Tee Ball Bat: TB7MX114 26" 12oz. This is the second Rawlings bat that has made our list of best tee ball bats. This is simply because Rawlings has one of the best line-ups of tee ball bats and some models in this line-up are our favorites regarding performance, quality, and durability. 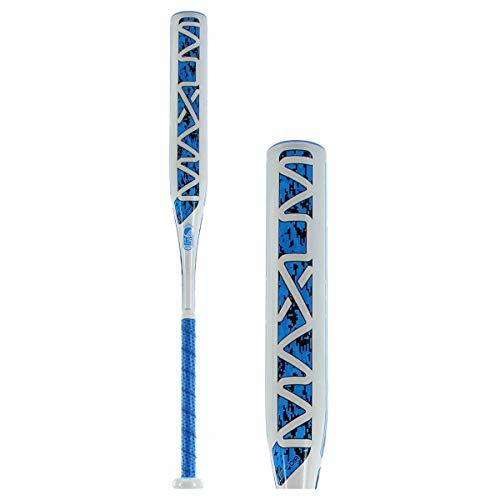 Rawlings has constructed the stylish Storm alloy tee ball bat using high-grade alloy material. Thanks to its alloy construction, this bat is quite light-weight while offering a solid hitting performance in the hands of young players. The bat has an overall weight drop of -12 and packs a 2 ¼ inch barrel. One of the most stand-out features of this bat is its outlook. 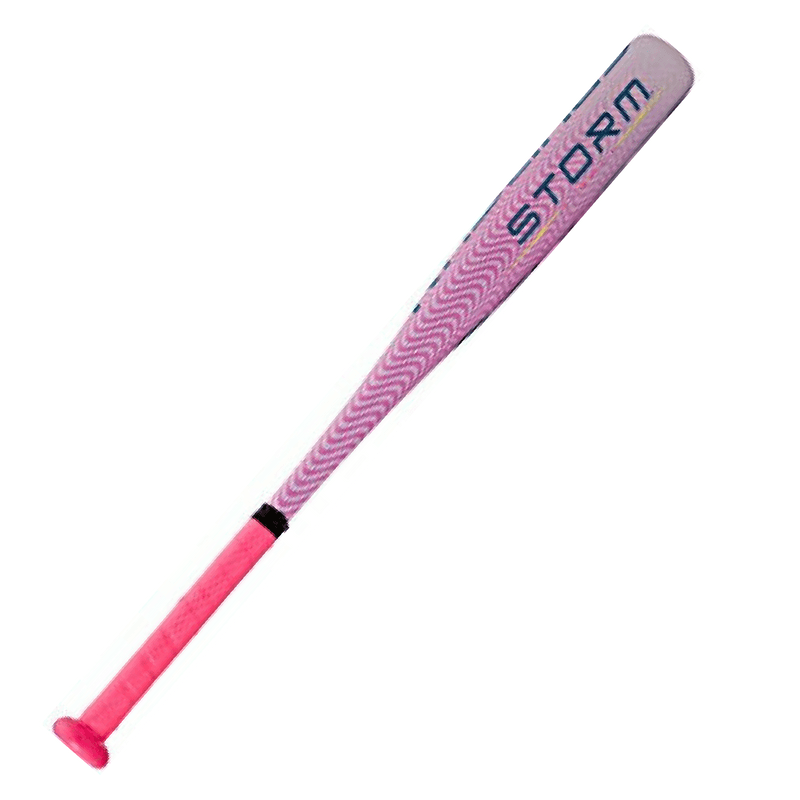 The overall color theme of the bat is vibrant pink, giving the bat a truly stylish outlook and making it an attractive option for your young one. 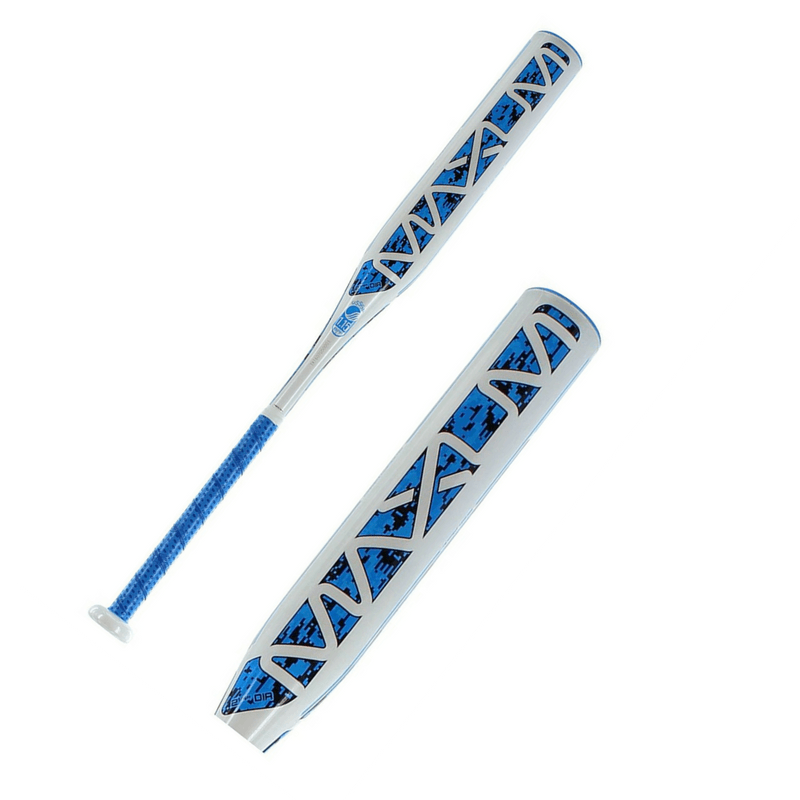 Rawlings has also designed the handle of the bat keeping the color theme in view so that the handle carries a crackle themed grip. The grip allows younger players to keep a stable and firm grasp on the bat while swinging it on the plate. The bat is 25 inches in length and weight 13 ounces. Rawlings is backing up the durability and performance of this bat with a 1-year warranty. This means that when you purchase this bat, you can be sure that it will survive a long time in the hands of your young one even when put through rough use. Finding the right tee ball bat for your young one is incredibly important. This is because this is the point where your son or daughter will develop an interest in the sport or find out that it’s not for him or her. A good bat in the hands of the player goes a long way towards boosting confidence and ensuring that the player begins the sport on a high note. So if you really want your young one to get a fair chance at baseball, it is very pertinent that you find the right tee ball bat. A good bat will help the young one master the basics of the sport sooner and better. Typically, the right tee ball bat is the one that suits the player best regarding its height, weight, overall feel and other aspects of construction. A bat that is too long, for instance, will be uncomfortable for the player to swing and will consequently cast an adverse effect on the player’s performance. A bat that is too heavy will weigh down the swing and reduce the swing speed as well as the hitting prowess of the player. So it is important to keep all aspects of a tee ball bat in view when finding one for your son or daughter. There’s no one-formula-fits-all to find a bat that is good. The best tee ball bat is simply one which is right for your young one. The list of top tee ball bats provided above is to help you find the best tee ball bat. But at the end of the day, you will have to determine the exact requirements of your young one before making the final choice.